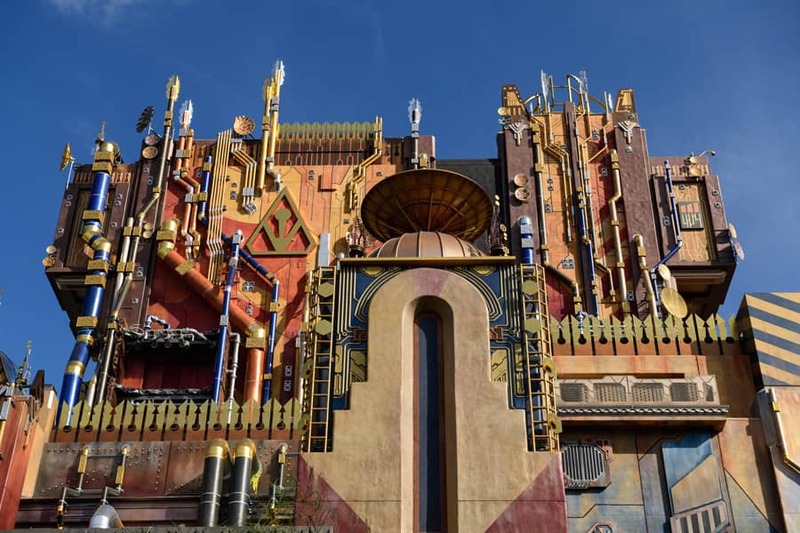 Throughout the past few months, a mysterious new presence has been emerging at Disney California Adventure park, and today we have your first look at The Collector’s Fortress. This enigmatic building is home to the soon-to-be-unveiled Tivan Collection, where guests will view the rare items in Taneleer Tivan’s extensive holdings, including his newest acquisitions: the Guardians of the Galaxy. The fortress shimmers with colorful and sparkling details; pipes cross and climb the exterior, carrying the organic matter the Tivan Group has mined to power the massive generator that powers the entire building, keeping every cage locked and the valuable collection secure. Rising and falling gantry lifts peek out of doors exposed through the corroded, burnt metal, and it even looks as if the structure may have taken laser fire and blasts. Has someone tried to attack the facility? Explore The Collector’s Fortress yourself when Guardians of the Galaxy – Mission: BREAKOUT! opens May 27 at Disney California Adventure park. 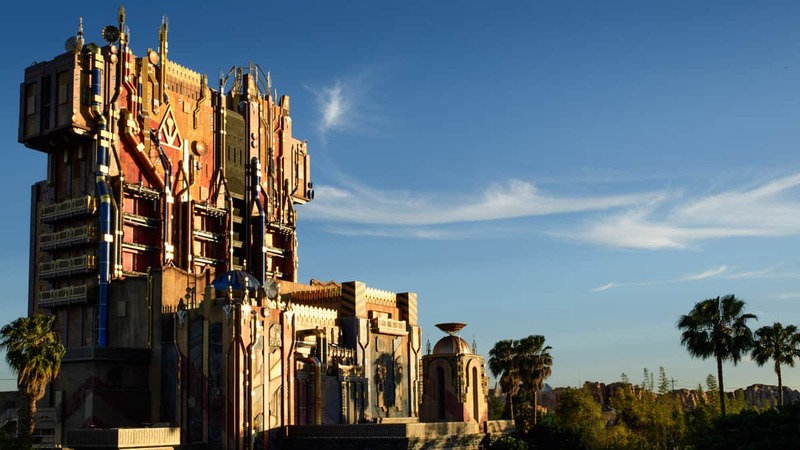 How does the Fortress fit into the theming of Hollywood? Food for thought: Twilight Zone is fading in our popular culture, and Marvel is an important asset to Disney. I expect a Marvel area, beginning with the Collector’s Fortress, will grow and expand in the dead areas (Muppets, Monster’s Inc, etc) and back parking lot. The ride is basically the same, with some special adjustments. TOT was fun, but this is an inventive update to the ride. Lots of people still complain about the theming, but it’s not as if Bugs’ Life isn’t just on the other side of the Tower and that doesn’t exactly fit Hollywood either. The way the overlay fits the building actually looks really nice and makes it look old rather than new. I think this will be a major success and would not be surprised to see them do this in Florida at some point too. Can’t wait to ride this! Any word on if there will be an Annual Pass preview for this? I am really looking forward to going on this. I am always open to new experiences. Erin, will there be some more updates as the opening date get closer? Love love LOVE these pix! I seen it live last week, even better in person! People sad TOT is gone. It’s not: Orlando has (the best version of it!) Orlando cannot make Marvel Rides, so, the Marvel Rides coming to Disneyland! And I love it! Will be there opening day May 27! Not cool bro, not cool. I will miss the gorgeous art-deco facade of ToT. When viewed from the Carthay Circle fountain/area ToT did not look out of place. 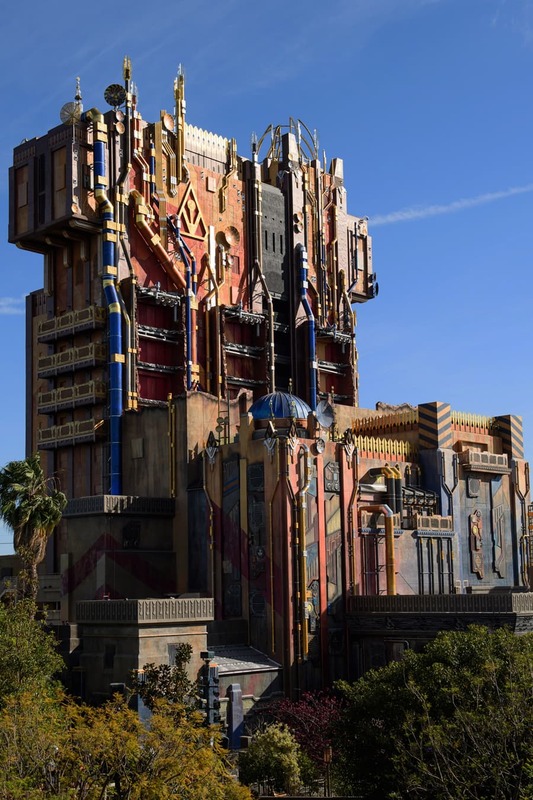 The GOTG facade sticks out like a sore thumb. Seeing it definitely breaks the illusion that you are in 1920’s/30’s Buena Vista Street. As for the interior and ride itself, I think the ToT que was masterful imagineering, and I am sorry to see it gone. That being said, I think they could do a lot with the concept of “the collector”so I will remain open minded. It sounds like the actual ride experience will change very little, and for that I am happy because ToT was my favorite thrill ride in DCA. For what it is worth, I am a huge GOTG fan, so I think I was part of the target audience for the ride. Love it! Can’t wait to experience it. I think they should have waited for Star Wars land and move Guardians of the Galaxy ride into tomorrowland. I love Tower of Terror, I especially love old Hollywood and for a bit it took you back in time. Now that’s what I call the pinnacle of themed design in a Disney park! This is by far the best addition to DCA EVER!!!1!!!1!!!!!1! I’m not happy with this change. Basically all of the California had been taken out of California Adventures. Please don’t change the Tower of Terror at Walt Disney World. It’s the only thing I have to hold on to and I hope to one day take my husband and kids to enjoy it. It looks beautiful! I can’t wait to experience it over and over! Se ve maravilloso. The Fortress is amazing to see in person, so shiny and just plain beautiful. I know a lot of people are complaining about the loss of ToT, but how many kids nowadays even know what The Twilight Zone is (unless they watch a TV marathon on a holiday weekend)? I’m an oldster and watched the shows when they ran for the first time on TV, but Marvel characters are what’s popular now. I’ll be there on the 27th with my Baby Groot plush! Buena Vista Street (1920s/30 Los Angeles), Grizzly Peak, including Pacific Warf (California’s High Sierras and Monterey’s Cannery Row), Cars Land (Route 66), Paradise Pier (Victorian boardwalk inspired by Santa Monica Pier and Santa Cruz Beach), and Hollywood Land. Grizzly Peak also includes the San Fransisco Street area. So, if I built a “fortress” why would I put all the important stuff on the outside?? If you want a cool fort, go to Tom Sawyer’s Island. Will there be a blog preview meet-up prior to the official opening? Steve Clark – Bug’s Land actually has nothing to do with Hollywood Land. It was put there as an extension of the “farm” that once occupied Cars Land. If anything that makes Cars Land the interloper. Jim; Well actually, all of the important stuff is on the inside. All of his acquisitions. Well, Fred, you’re almost right. Although Rte 66 did end (or begin – take your pick 🙂 ) in Cali, Radiator Junction is really (based on things) in AZ. That’s where 66 and Interstate 40 parallel. Hi, do you happen to know if there will there be a special AP time to preview the attraction before it opens officially? Thank you. How is this an exclusive sneak peek when you can literally go and look at the outside of it, just like these photos, right now. Give us some interior shots! What is revealed is no different than going to the park myself to look at the interior. The shots (pictures) that are seen are taken within the park and is no different than what I can find anywhere else. Not to mention the shots of the extirior, that I took myself, are far supirior from the “Frozen” theatre. What happened to the AP exclusives that allowed us to ride on the new attractions before they’re open to the public? 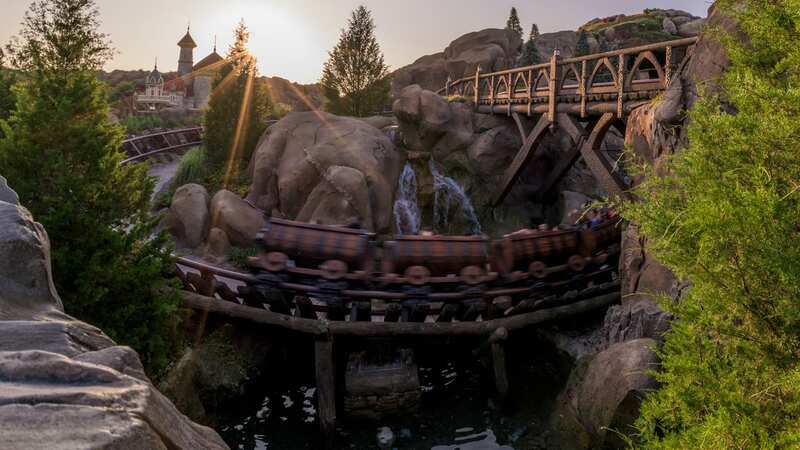 We were informed previously that AP holders would get to preview the ride on 5/23 & 5/24. Is this not happening anymore? We were planning to take off work, pick up the kids from school to do this, but don’t want to do that if something changed. I don’t see this info anywhere anymore?